On October 3, Cape Girardeau will be in the spotlight as the red carpets roll out for the premier of Gone Girl, which was filmed there in the fall of 2013. Missouri native Gillian Flynn’s bestselling novel of the same title takes place in the fictional river town of North Carthage and tells the story of the media frenzy after a man’s wife goes missing. When the book was adapted for film, Academy Award-winning director David Fincher (The Curious Case of Benjamin Button, Fight Club, and The Social Network) and his producing partner Cean Chaffin looked to Cape Girardeau as their fictional town, and Cape was more than ready to welcome them. 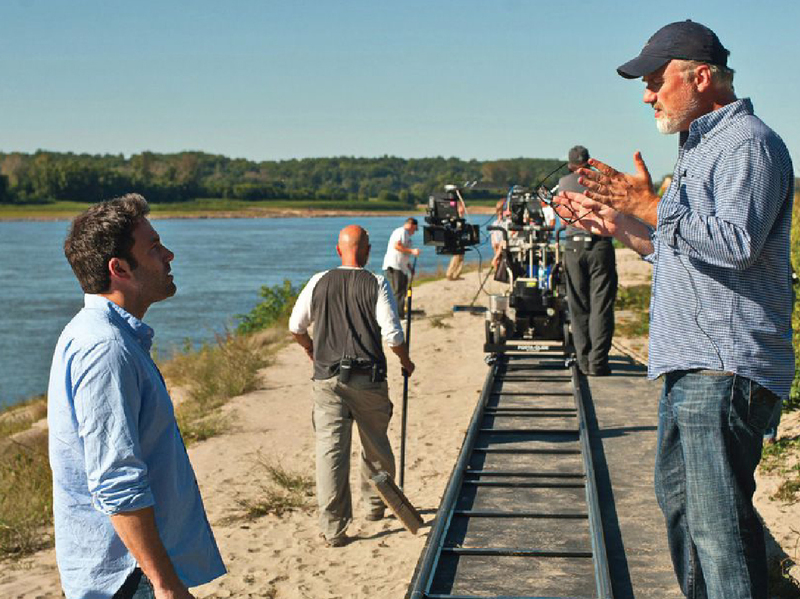 Ben Affleck rehearses a scene with director David Fincher on the set of Gone Girl, which was shot in Cape Girardeau. Courtesy of Merrick Morton and 20th Century Fox. Fincher and Chaffin are based in Los Angeles, so they relied on local sources to organize the filming in the City of Roses. Dr. Jim Dufek, professor of mass media for Southeast Missouri State University, began meeting with 20th Century Fox producers in July 2013 to discuss the logistics of filming portions of Gone Girl in Cape Girardeau. He was tasked with helping provide location photos and coordinating among the producers and the city government. What was originally scheduled to be a three week stay for the cast and crew turned into six weeks. In the months leading up to the shoot, the production company held open auditions at the Rose Theater at Southeast Missouri State University and hired hundreds of extras. Some audition seekers drove from Arkansas, Kansas, Illinois, and Oklahoma. 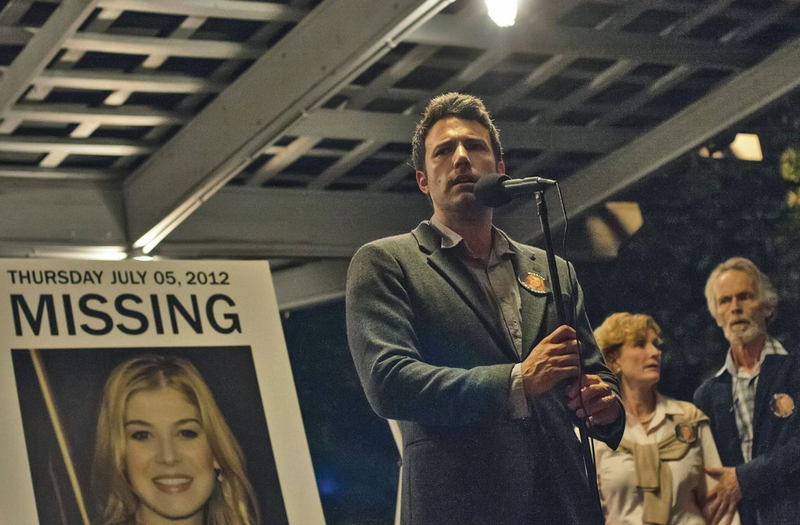 A big budget film like Gone Girl can spend millions of dollars in one location city. 20th Century Fox hired local crew members from St. Louis and the surrounding areas, purchased needed items from local vendors, spruced up a downtown building, and used local homes as sets. The money spent will be felt by the local businesses for some time to come. According to the residents, memberships rapidly increased at the gym where the film’s star Ben Affleck chose to do his daily workouts, and sales shot up at Andy’s Frozen Custard, a spot Affleck and Fincher frequented. Celebrity sightings were common and were often shared on social media; the stars were gracious and posed with many fans. As the Regional Manager for Drury Southwest, Randy Klugee worked with the filmmakers to accommodate the cast and crew’s need for hotel rooms. The film’s crew came in early September of 2013 and needed several hundred rooms, nearly filling several of the hotels Drury operates in Cape Girardeau. Filmmakers also chose the ballroom of the Drury Lodge hotel to shoot several scenes and used other smaller rooms for makeup and costumes. Cape Girardeau was transformed into the fictional town of North Carthage during the filming of Gone Girl. 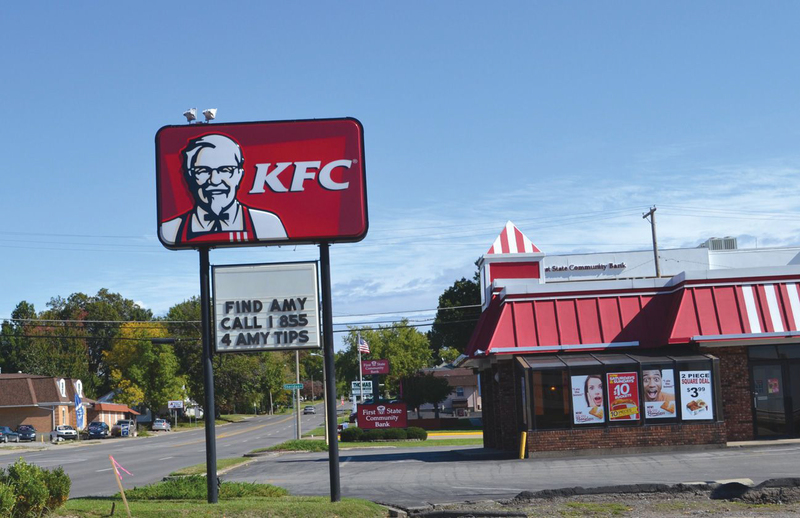 This KFC advertised a hot line to call if anyone has clues about Amy’s disappearance. Jim Rust was also pleased with the business he conducted with the production company. “They were delightful to work with,” says Rust, owner of RM Coco, a decorative fabric store for residential and commercial decorating. “We absolutely loved them shopping with us. They were very nice and easy to deal with, and we would do it again.” Some of Rust’s employees were even used as extras. But beyond Drury and RM Coco, many local antique stores and grocery stores saw purchases from the production company. Schnucks grocery store also received about $10,000 in business from sandwiches, soda, water and other small item purchases that were used to feed the crew for a few days. State Representative Kathy Swan, a Republican from Cape Girardeau, saw nothing but advantages. 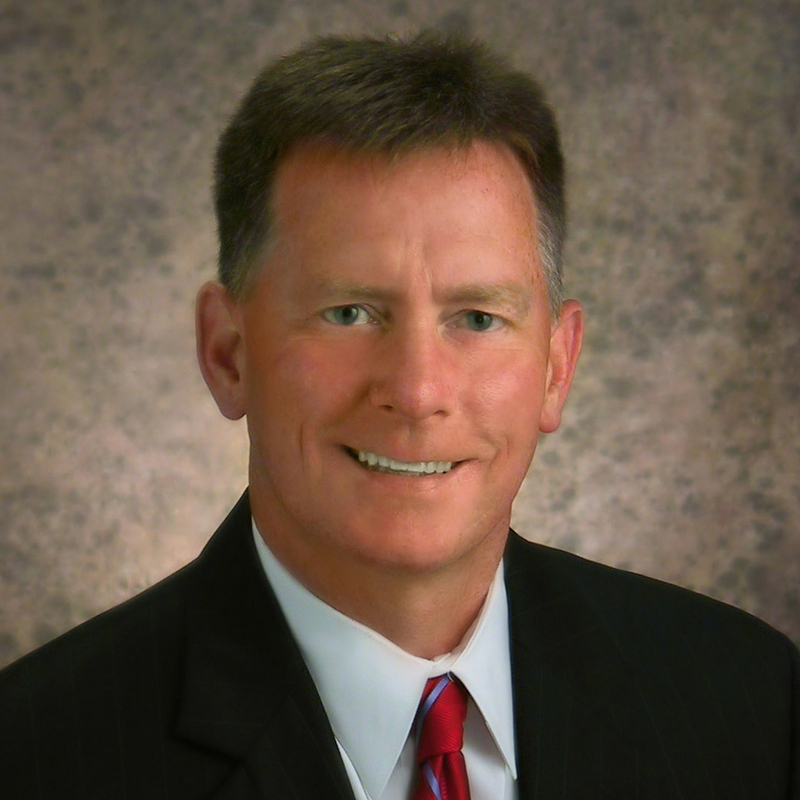 Chuck Martin with the Cape Girardeau Convention and Visitor’s Bureau felt the same way. Gone Girl opens in theaters on Oct. 3. Martin worked with the producers to arrange their time in Cape Girardeau and was thrilled when the production team decided to extend their stay in the city. Martin was also with the convention and vistor’s bureau when Killshot—a thriller starring Mickey Rourke, Diane Lane, and Thomas Jane— was filmed in 2007. City leaders have decided to host a premier event when the film debuts in October 2014. Representatives from the City of Cape Girardeau, the Cape Girardeau Convention and Visitor’s Bureau, Old Town Cape, Southeast Missouri State University, Wehrenberg Cape West Cinema, and Isle Casino Cape Girardeau created a committee to plan an event for the October 3 release. They hope to premier the movie on as many screens as possible, so the community can have an opportunity to see their city, as well as friends and neighbors, on the silver screen. Cape residents will talk for years of the weeks that Hollywood came to the River City and made magic on its streets. And of course, the city would welcome them back with open arms. Not only did cast and crew take pictures with people from town, David Fincher allowed residents to watch filming, even inviting a small group of devoted fans into the production tent from time to time to explain the film making process. On the last day of filming, Ben Affleck stuck around after filming wrapped and took pictures with EVERY PERSON who wanted one. Talk about a class act! I’m so happy for the town! We visited back in 2012 and really enjoyed Cape Girardeau. Looking forward to the movie!! My husband and I were a couple of those lucky folks that got to share a picture with Ben on the last day of filming. As he headed toward the crowd that was hoping for a close up and maybe a wave, I heard him say, “I’m not leaving until everyone who wants a picture gets one”. That is a moment that I will never forget and the moment that I became a forever Ben Affleck fan. Class act all the way! Come on October 3rd!